I am all ready for the fall season over here. I am one of those people that plans out all of the yummy fall items I'm going to cook when the season rolls around, all year long. Pumpkin, apple, pears, cinnamon, sweet potatoes, pecans, acorn squash, ginger, nutmeg, cloves—and the list goes on and on. 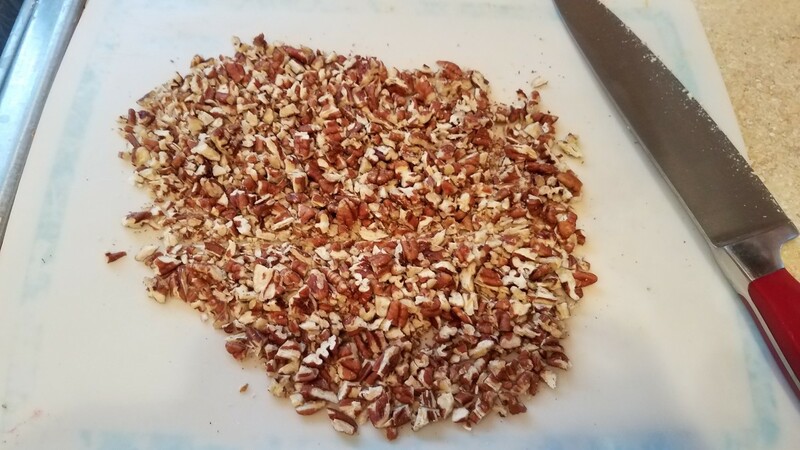 We do fall crafts over here with the kids, make all sorts of homemade bath products for the season, and bust out tons of yummy drink recipes, like apple cider and cinnamon hot chocolate. I can't wait for the cooler weather, the changing colors of the leaves, picking fresh fruit from the trees, and even planting my fall garden in the backyard. I definitely don't use pumpkin spice in everything, but I would if I didn't think I would burn out on it over the next few months. 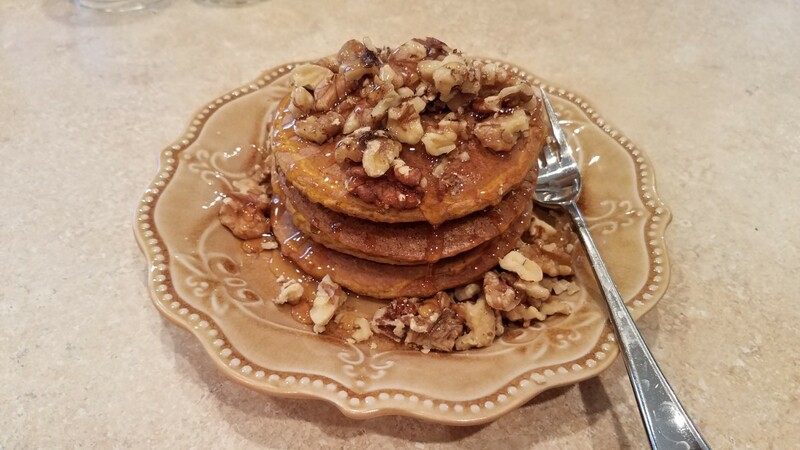 I like to mix it up and include all of the wonderful fall flavors in everything I do before winter comes and my menu changes. I'm already pulling out all of my fall decorations, and we are growing our own pumpkins in the backyard this year. Be on the lookout for my articles about fall crafts to do with your kids, as well as great fall-related books to read to your kids! I've just been waiting for the right time to share them. But first things first: food. I've already started some spiced vanilla pear jam, and I've made my pumpkin spice soap. 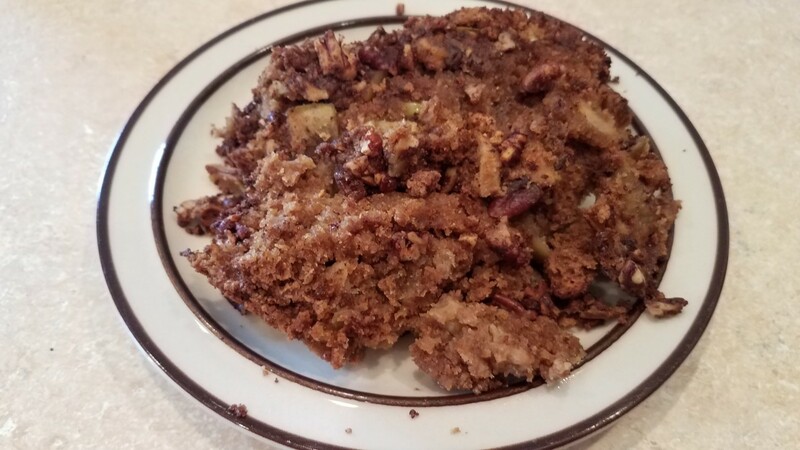 Next, it was time to bake my delicious apple coffee cake, and boy was it delicious. 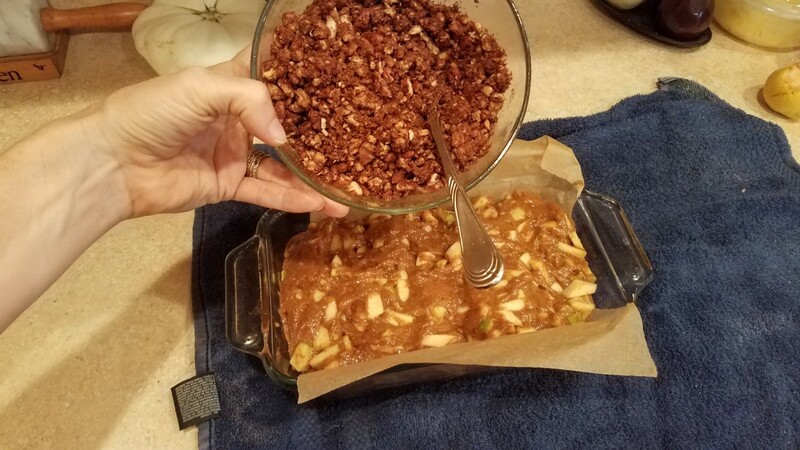 Apples, cinnamon, and candied pecans really set the mood. 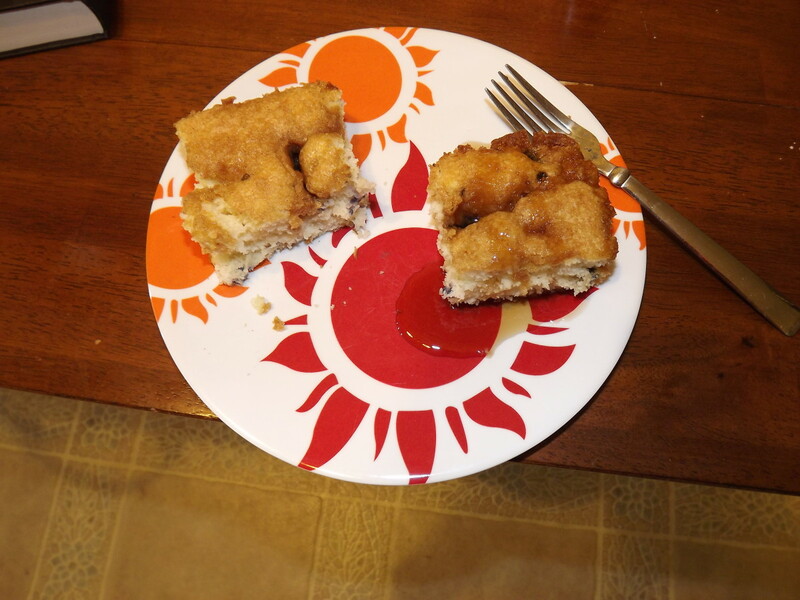 It was super easy to toss together, and it was amazing to have for breakfast. I hope you enjoy it as much as we have! Let's see how to make it. Preheat your oven to 350 degrees F and grease a 9x13 in casserole dish with some coconut oil. 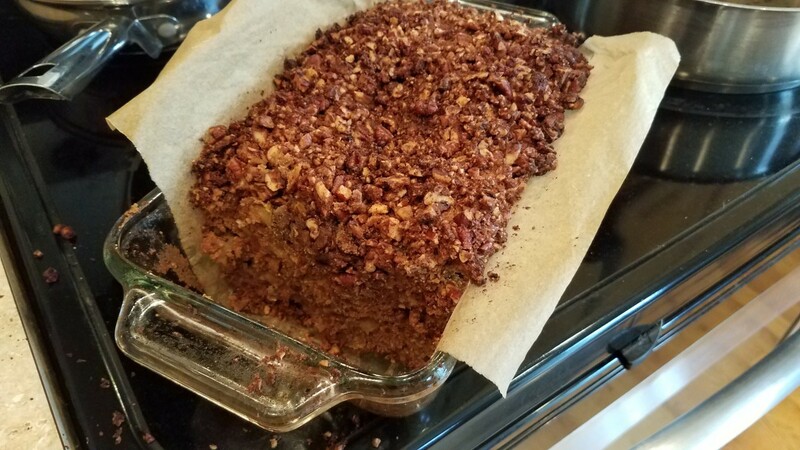 The parchment paper was just ripping to shreds for me, and the loaf pan was way too small. It needed to be spread much thinner. 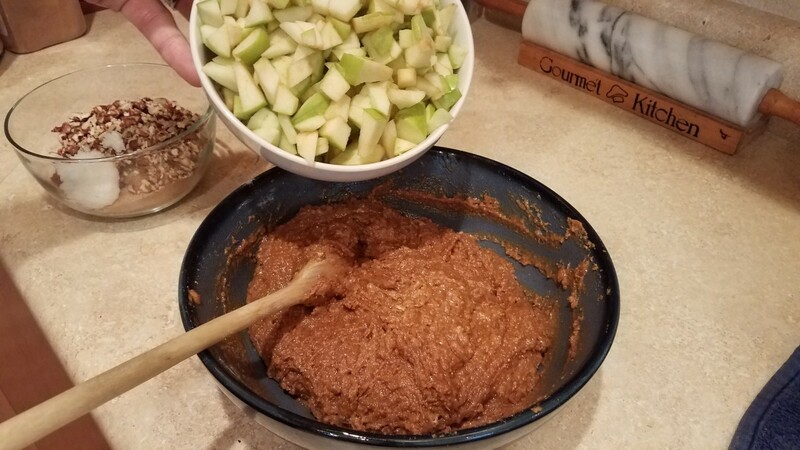 Add each of your ingredients one at a time in a large bowl, melting your coconut oil first and adding in your apples last. 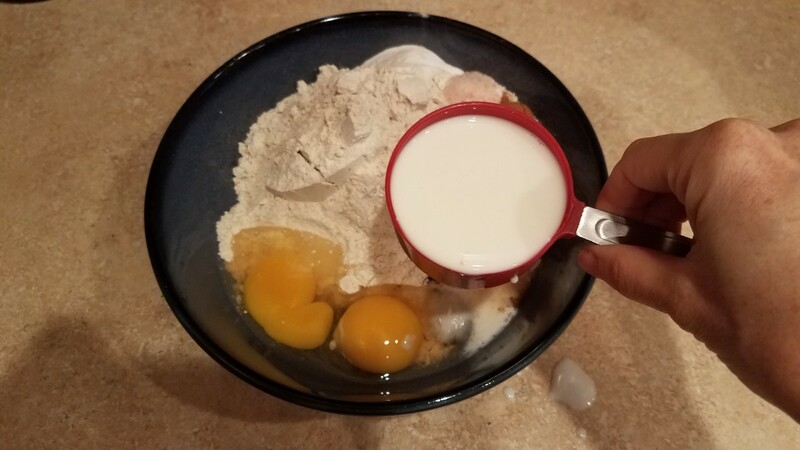 If your mixture is too thick at the end, feel free to mix in a little more milk, a quarter cup at a time. 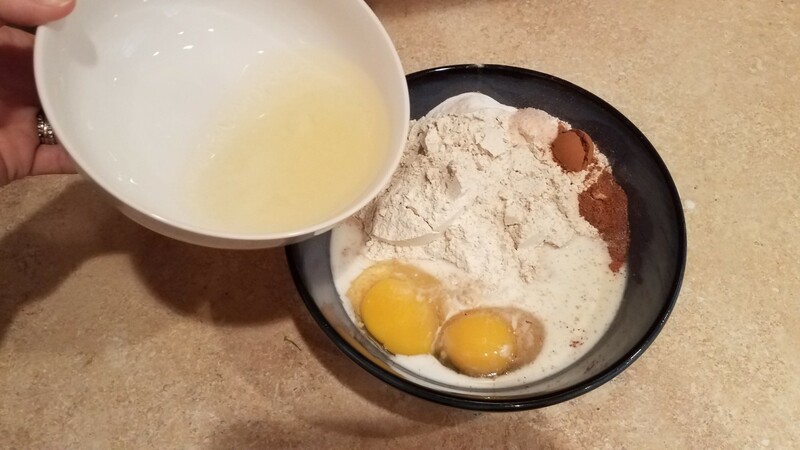 Pour the mixture into your prepared 9x13. Pour your topping over the top and spread it out evenly. 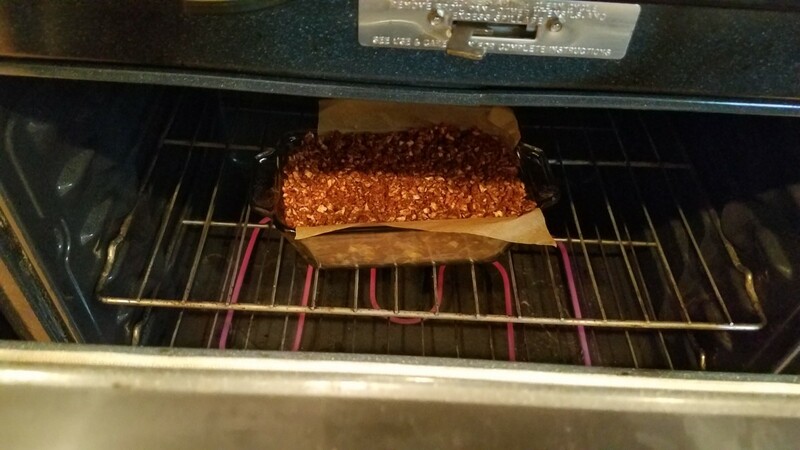 Slide into the oven and bake for 40 minutes. 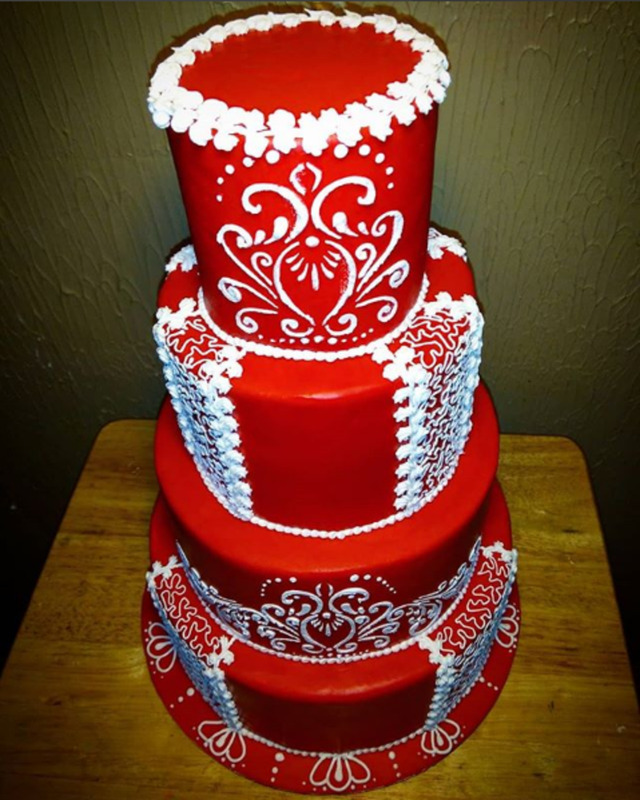 I would slide a clean knife into the middle to make sure that it's completely done. The knife should come out clean, with no sticky batter stuck to it. If your coffee cake is not finished when you check, cook it in additional 15 minute increments until it's done. 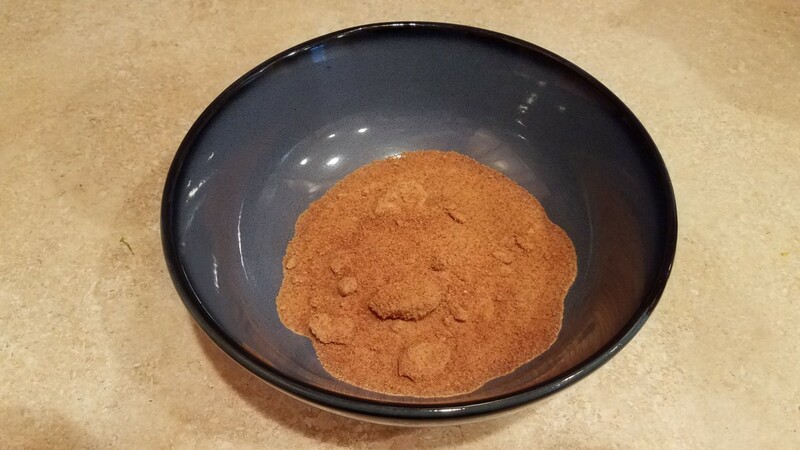 Pour your coconut sugar into a large bowl. Finally your spices and coconut oil. 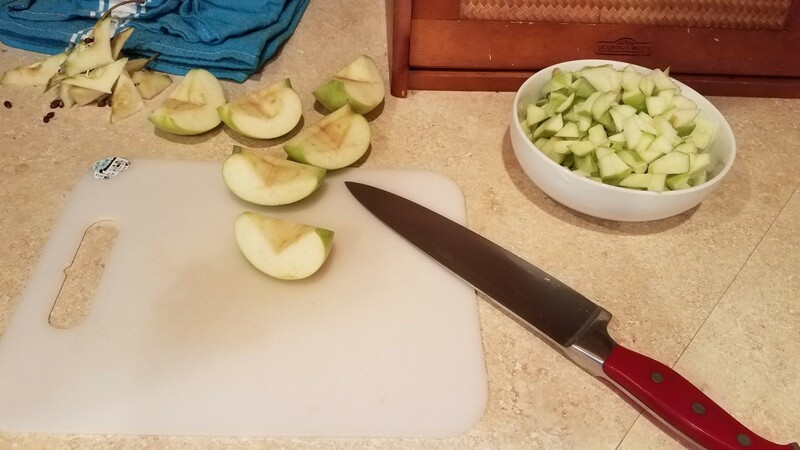 Core and chop up all of your apples into small pieces. I didn't peel me apples. I like all of the nutrients in the skins. Set aside in a bowl. 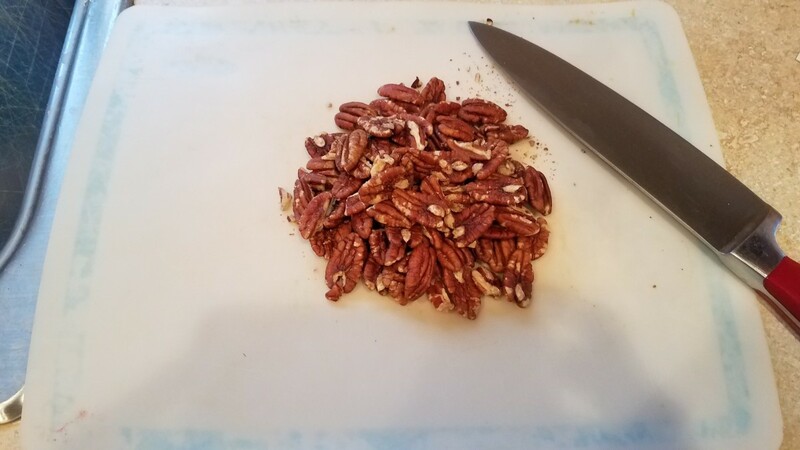 Now chop up your pecans for the topping. 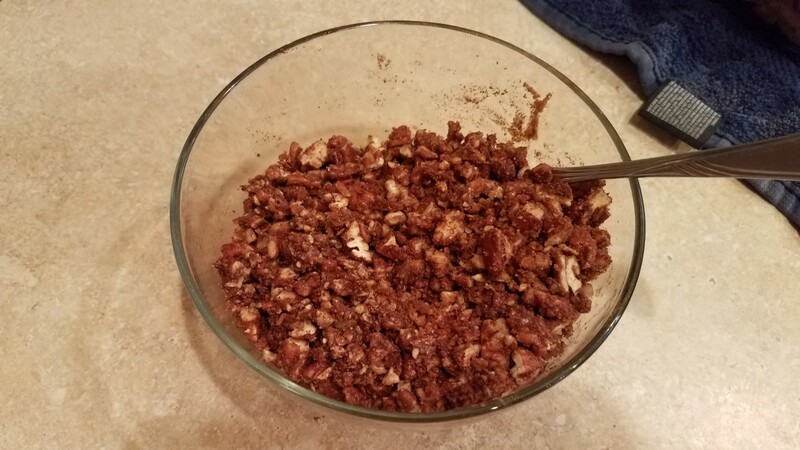 Add in your sugar, cinnamon and coconut oil to your pecans. 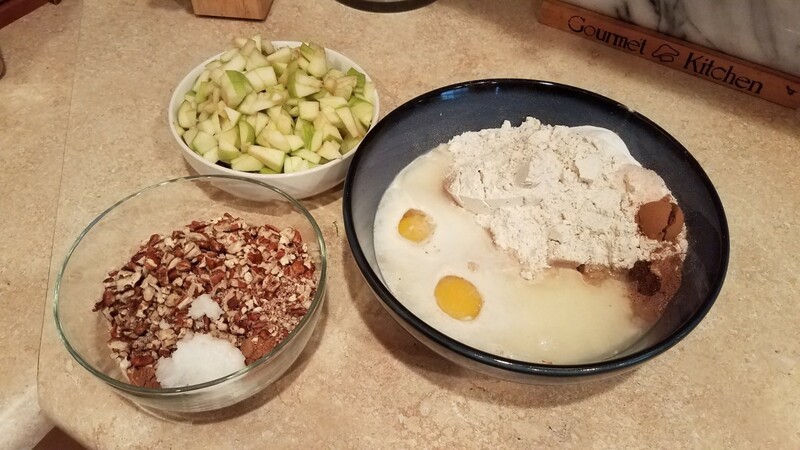 Mix up all of your ingredients in the large bowl, and then add in your apples. I'm pouring mine in a loaf pan, but that was a mistake. I would use a 9x13 inch casserole dish next time. Pour the topping over your coffee cake batter. In the loaf pan, I ended up having to cook it for almost 3 hours. It was delicious, but I would rather spread it much thinner and cook it for more like 30-40 minutes instead. I'll be making it again and updating my recipe. So this dish was truly amazing. All of the different flavors really made the house smell amazing and was definitely a recipe we will be repeating over and over again over the next few months. Unfortunately, my little one is teething and so I have been pretty sleepless for about a month now. 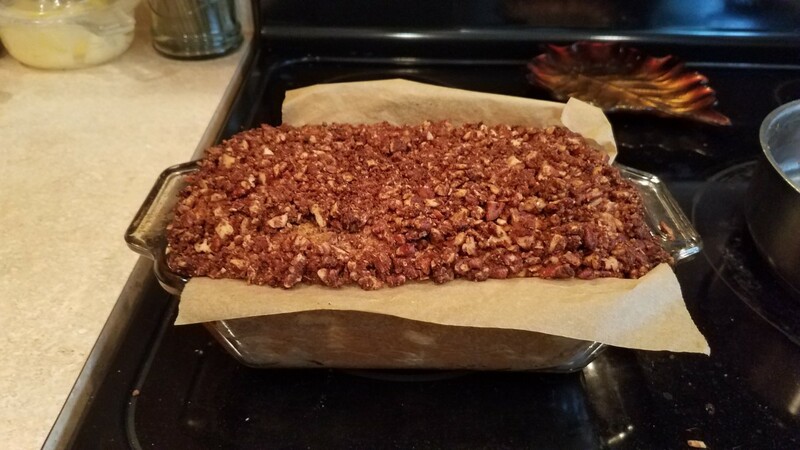 As I was pouring it into a dish to bake, I wasn't thinking clearly and poured it into a loaf pan when it should have been more like a 9x13 inch casserole dish. I won't make that mistake again. Although I didn't bake it correctly, the recipe was delicious. So I just gave you the recipe and directions the way it should have been done. 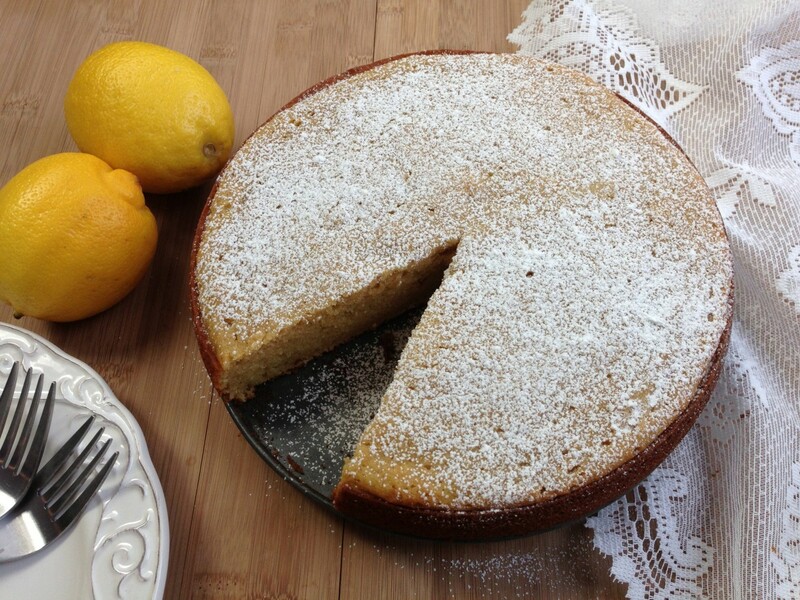 You may have to adjust your baking times and liquid a little bit for your altitude. It was really thick for me and I obviously baked it in the wrong dish. It took me almost 3 hours to get it baked all the way through. 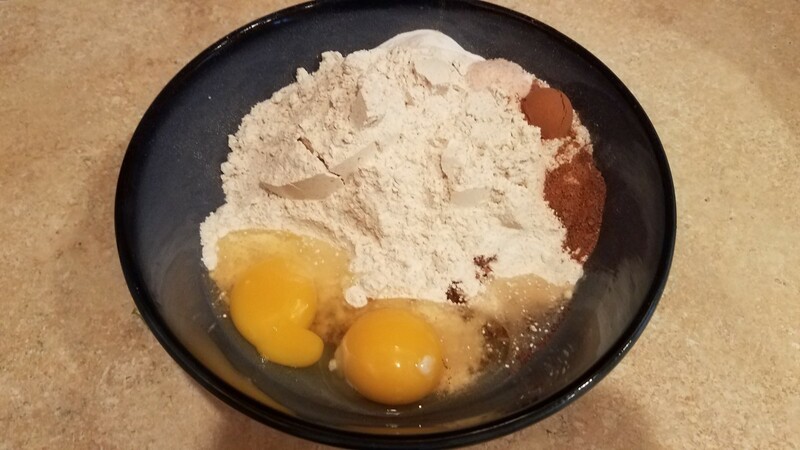 Next time I'll add a bit more liquid to thin it out a bit and make it easier to mix, and I'll pour it into a 9x13 inch casserole. Then it will be a little lighter, fluffier and faster to bake. This is all just trial and error. When I make it again, I'll be sure to update my recipe for you. But I didn't want to keep all of the yummy appley deliciousness from you in the meantime. Before you take it out of the oven, just be sure to slide a clean knife down into the middle to see if it comes out clean. If it is all sticky and doughy on the knife, it needs to bake 15 to 30 minutes more and you can adjust your recipe. Good luck and enjoy! Thank you! I've made it a couple times since then and a 9x13 inch casserole dish definitely turned out to be a much better choice! We used to grow pumpkins when we lived up north. They do grow big up there! 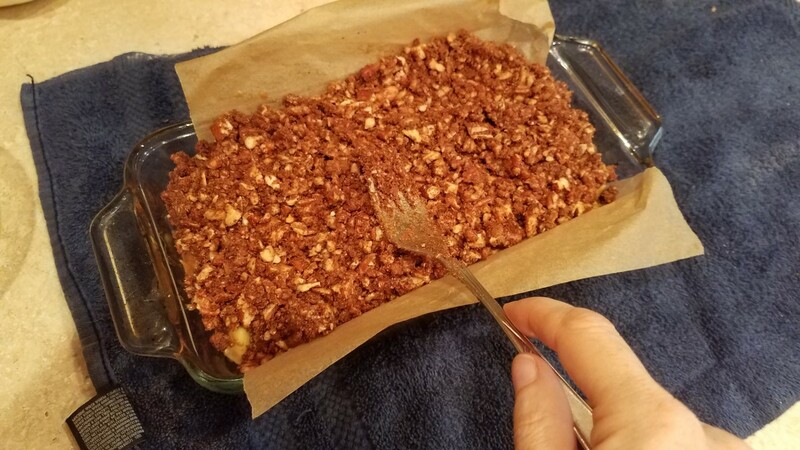 This recipe is a lovely idea and so healthy! Absolutely. Honestly I don't have a preference. I usually use either what's on sale at Sprouts or what my friends allow me to come pick from their orchards. Granny Smiths are delicious but I don't get ahold of them very often. 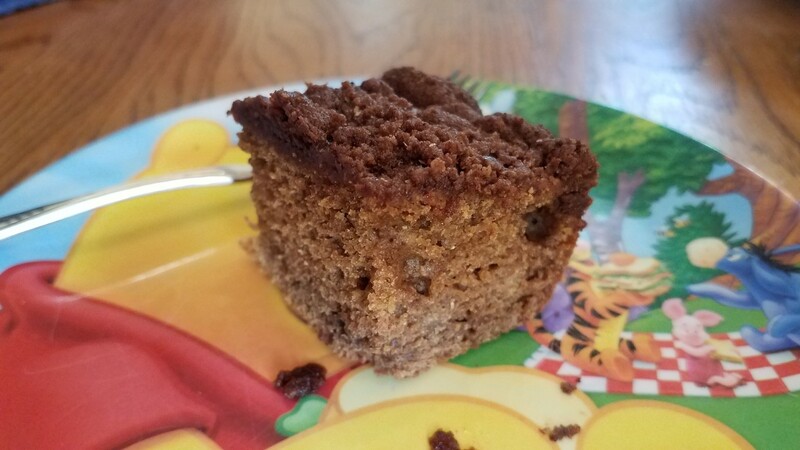 This apple cofee cake sounds delicious. 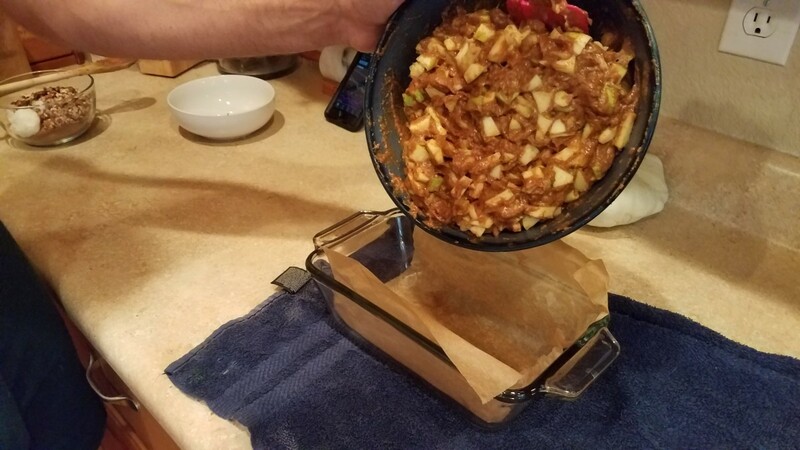 I usually use Granny Smith green apple when using apples in baked products. I wondered if you had an apple preference for baking. I love how healthy this recipe counds. 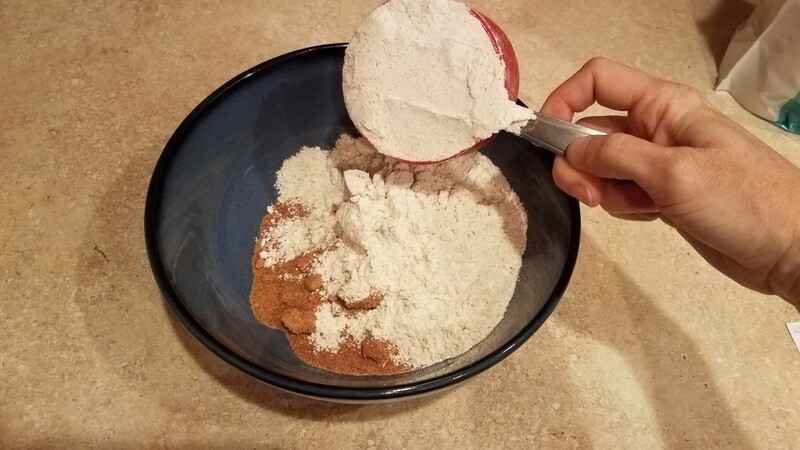 I have never used coconut sugar, but I use coconut milk all the time, so i would sure try it. Thanks for this great recipe. Thanks! 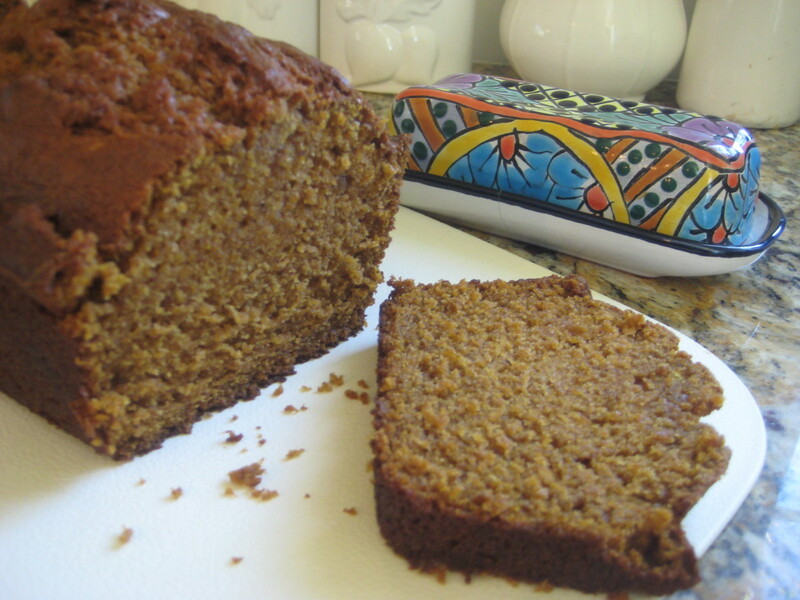 I've got many more yummy breads and baking recipes to share! I look forward to really getting into all of the Fall spices! 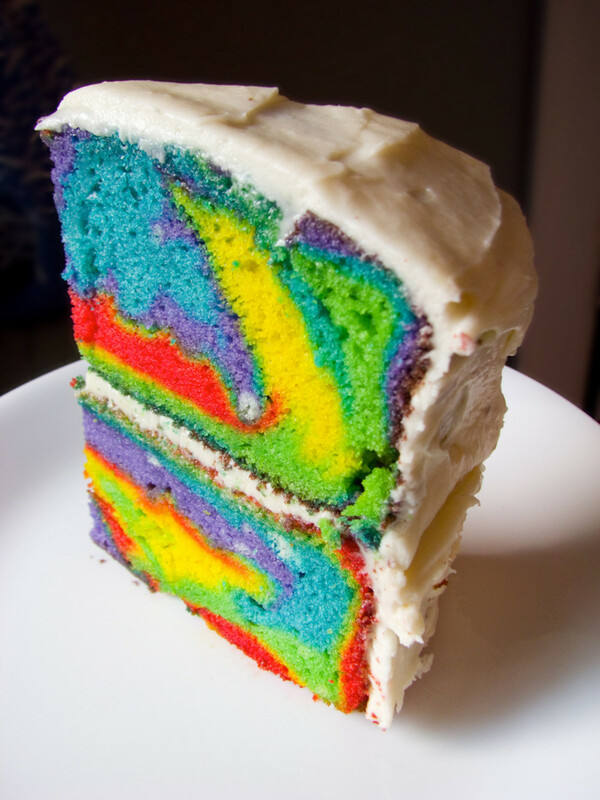 This looks delicious, Victoria. I like that you don't peel your apples. I'll have to give it a try. 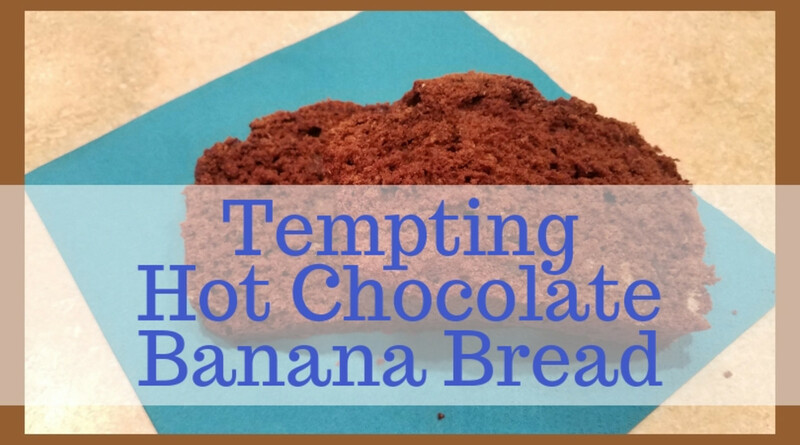 It's a nice change from banana nut bread.